Pep Guardiola’s summer transfer window spending as Manchester City boss may not be over yet as the club reportedly shows an interest in PSG midfielder Marco Verratti. Verratti has been on pre-season duty this summer with the French Champions as they gear up for another assault on all fronts next season. The 25-year-old joined The Parisians back in 2012 and has since gone on to make over 150 first team appearances, scoring five goals. He is also a full senior international with Italy and has 25 caps for his country, although they missed out on qualification for this year’s World Cup in Russia after a qualifying play-off defeat to Sweden last year. According to Italian publication Tuttomercatoweb, Manchester City have been chasing a holding midfielder all summer and just missed out on signing Jorginho from Napoli last month, who opted to follow Maurizio Sarri to Chelsea. Jorginho shone as one of the finest midfielders in Europe last season and looks a great purchase for Chelsea, though it will undoubtedly have been a big blow for City to miss out on him as an ideal addition to strengthen an important area. Still, Verratti is undoubtedly another of the very finest in the world in his position, offering the same attributes as his fellow countryman who has now moved to London. He is exceptionally talented, comfortable on the ball and capable of dictating the pace of a game from deep-lying positions. 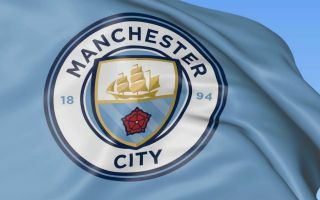 Guardiola would love a player of his ilk at the Etihad and they look set to make a move for him before the transfer window ends on August 9th, as TMW also reports. PSG would likely command a huge fee for the Italian playmaker as he approaches the prime years of his career, but City supporters will hope a deal can be arranged which would strengthen their team even further, as they bid to defend the Premier league Title next season and go all the way in the Champions League.